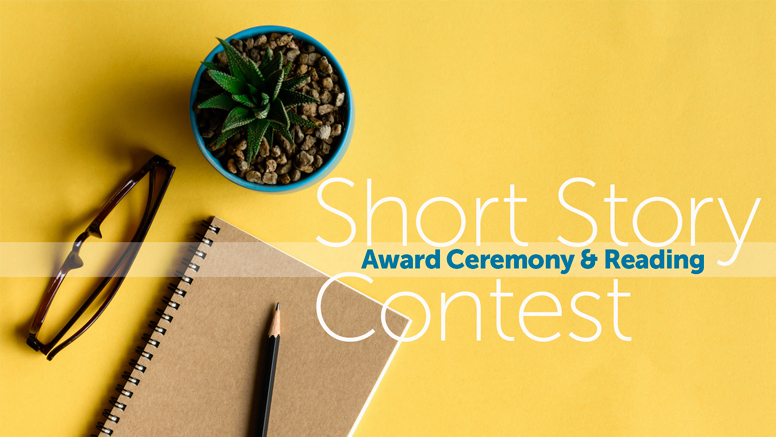 Champaign Public Library’s first Short Story Contest drew a pool of wonderful entries by community members, including participants in the Writer’s Workshops series held in February and March. On April 11, as part of National Library Week celebrations, the top three stories were read publicly at the library and the awards were announced. Congratulations to the winners! 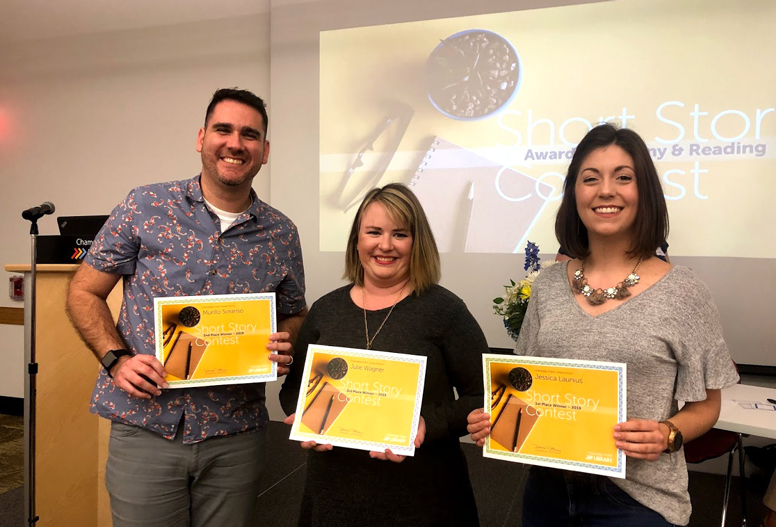 Winners of Champaign Public Library’s 2019 Short Story Contest (from left): Murillo Soranso, second place; Julie Wagner, third place; and Jessica Launius, first place. Grand Prize – One-on-one consultation with University of Illinois Creative Writing Director and published author Janice N. Harrington and a professionally taken headshot for your author’s portfolio. Opportunity to read your story, or have an actor read it for you, at our Awards Ceremony, and have your story published on our website for the community to read. 2nd + 3rd Place – Opportunity to read your story, or have an actor read it for you, at our Awards Ceremony, and have your story published on our website for the community to read. One-year subscription to Writer’s Digest Magazine.